Find 50% Off Women's Trainers at Shoe Zone Some great offers on women's trainers at Shoe Zone. Get up to 50% off! Get £30 Off Selected Women's Shoes and Boots in the Sale at Shoe Zone Some serious savings to be made in the clearance sale at Shoe Zone. Discover £20 Off Kids' Shoes and Boots at Shoe Zone With their feet growing so quickly, keep up with their shoe size without feeling the pinch. £40 Off Selected Men's Footwear in the Sale at Shoe Zone Whether you need new comfort shoes or sturdy work boots, get them from Shoe Zone for up to £40 off! Free Shipping on Orders at Shoe Zone With free delivery on everything at Shoe Zone, you can order as little or as much as you like! Free Click and Collect from Store at Shoe Zone If you want to collect your delivery when it's most convenient for you, selected click and collect at the checkout - it's free! Shoe Zone is that go-to shop for the best deals on footwear. With its own lines as well as well-loved brands like Padders, Puma and Hush Puppies too - Shoe Zone can cater to all tastes with the abundant range of shoes on offer. Here you can shop all different sorts of footwear, from slippers to wellies, and from casual everyday trainers to sophisticated and snazzy numbers for a night on the town. When you need shoes, whether it’s for yourself or for your kids, Shoe Zone is the place to go. Parents can find school shoes galore to keep children comfortable and looking smart, alongside school and lunch bags too! While men and women can find sandals, canvas shoes and much more, alongside safety footwear too for those who work in harsh conditions. It doesn't stop at footwear with Shoe Zone, where you can find plenty of bags and accessories to help complete your outfits. Find umbrellas, shoe care and much more - you can always count on Shoe Zone for quality products that'll keep you high and dry without breaking the bank. How do I use my Shoe Zone discount code? Choose from the current offers available for Shoe Zone here at vouchercloud. Please note that any offers which don’t require a code will be applied automatically. Browse the Offers page at Shoe Zone to see what discounts and savings are to be had on shoes for the whole family! Does Shoe Zone offer student discount? If you are currently a student, you can save even more on the great prices at Shoe Zone by registering for their 10% student discount. What size should I order from Shoe Zone? Shoe Zone provides international size conversion tables for its shoes to help you make sure that you order the right fit. Where is my nearest Shoe Zone branch? Find out where your nearest Shoe Zone branch is by simply entering your postcode on the online store locator. Next Day/ Weekend/ Nominated Day Delivery: £2.99. Store returns are FREE and you have 12 months in which to request a refund/exchange on your unworn goods. See more return options via the post here. Mon - Fri 8am to 6pm and Sun 9am to 5pm. 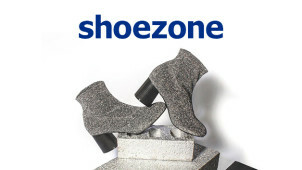 Shoe Zone is the place to go for the best bargains on footwear for men, women and kids. With affordable products from renowned footwear brands like Hush Puppies, Dunlop and more - use a Shoe Zone discount code and save on kitting out the whole family with both stylish and high-quality footwear. With great value on shoes and accessories too, you’ll be able to get the looks you want for less with Shoe Zone. For when you're not sure what shoes to wear or which ones to buy, simply head over to the Shoe Zone blog to get some inspiration and advice from the experts. From seasonal picks to how to get your day-to-day look down to a tee, and even how to care for your dear footwear - you can find features, reviews and much more when you get connected on the Shoe Zone Blog. Perfect for all year round, especially in England, a good pair of boots are a wardrobe staple. At Shoe Zone, there is something for everyone in the selection of boots on offer and now with a Shoe Zone voucher code from us, you can save on your summer and winter must-haves! From wellies for a festival, boots for school, ankle boots, work boots and much more - you won't struggle to find a firm favourite at Shoe Zone.